Experience the rich taste of pecans, recipe ready and perfectly packed into a convenient 2 oz. bag. Whether you want a handful of treats to snack on, or that special ingredient to spruce up your favorite dish, reach for Planters Pecan Pieces. Baking a traditional Pecan Pie? 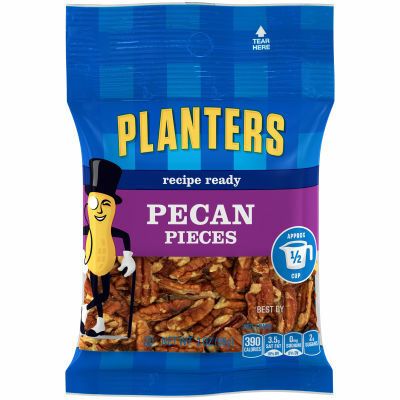 Planters brings you only the highest quality pecan pieces, which are crucial in this dessert. Impress your friends and family at get-togethers with a scrumptious pecan pie, or dress any of your favorite desserts with these pecan pieces that are as beautiful as they are delicious.